That’s my mantra, and I’m sticking to it. They are relatively inexpensive, easy to use and really make a difference to the look of a room. 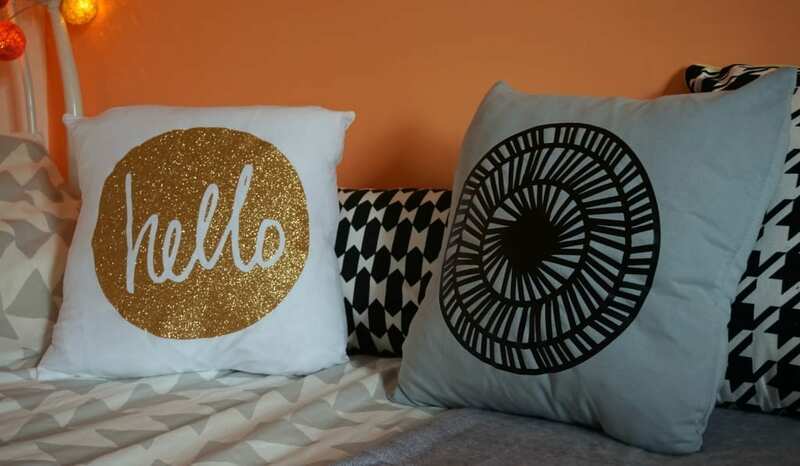 Having recently culled a stock of older cushions from the loftspace (in preparations for a conversion) it was time to experiment with some new ones, just in time for a bedroom makeover. 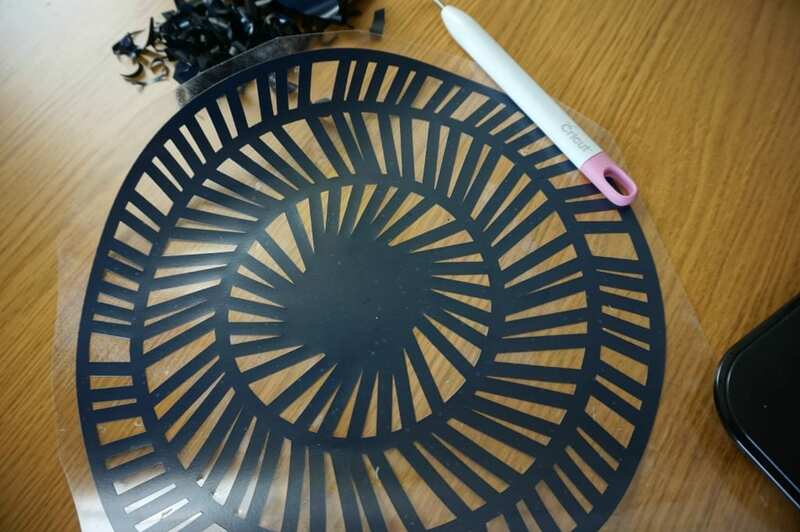 As you may know, I’ve been blogging some projects that I’ve made with the Cricut Explore, a high tec cutting maching designed for crafters and makers. I’ve updated my front door, made some Unicorn pictures, designed some Scandi clipboard wall art and more greetings cards than I care to remember. 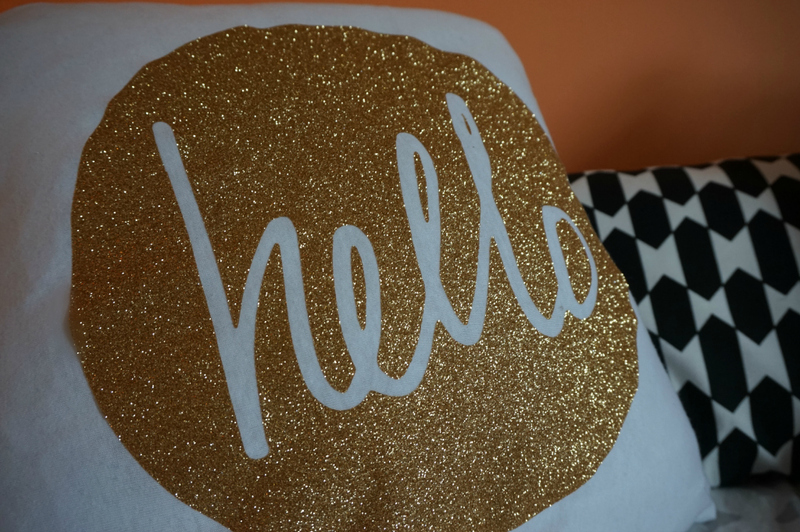 Today, I want to show you how to update or make over some plain cushion covers to suit your interior scheme in any room. It’s incredibly simple and not expensive to create something unique and personal. These cushions have been made for my daughters’ bedrooms and because I know they are bound to be thrown on the floor a lot, I haven’t spent much on the quality of the cushion pad or the cushion cover. These are just a few pounds each from eBay. 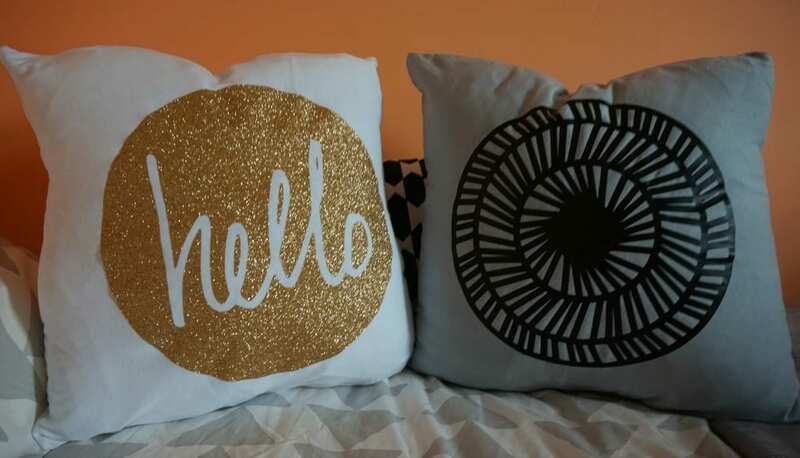 Cushions like this use a different cricut product, Iron On Vinyl. It’s available in lots of different colours, and as you can see, even in full on Glitter. The pink glitter has been exceptionally popular in our house. I’ve practised with it on a blind, which I haven’t show you yet, and so feel I’ve perfected the technique. 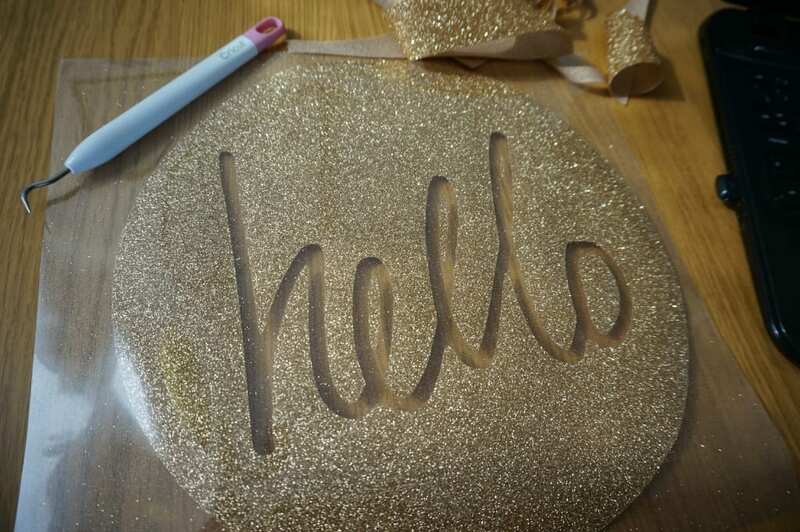 As will all Cricut projects, you’ll need to start by creating your design. These patterns are all available on Design Space in the Home Decor section, as a ready made project. There’s no design time necessary, all you need to do is select the project you love and hit Go! Ensuring of course, that you have all of the required materials. Start by selecting your cushion design and ensuring it’s sized correctly for the cushion cover. 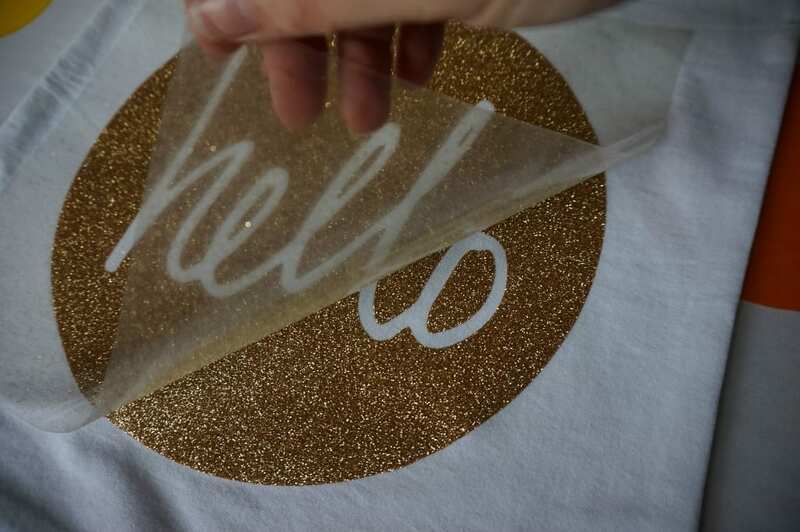 Apply your Iron On Vinyl shiny side down and load your Cricut Explore. Before you hit Go, remember to check the Mirror Image button – this is very important! Then, off you go. Ok, so now you’re ready to get the iron out. Once your ironing is complete, start to remove the transparent layer which should come away from the motif, leaving it in place. If you find parts of the design haven’t completely stuck down, use the tip of your iron for 10 seconds to secure in place. And so here are the finished cushions. They make up part of our tween bedroom makeover, and we’re really pleased with how they complement the look. Combined with some monochrome cushions on the bed, they help make the space really comfortable, almost like a day bed, where the tween can hang out with friends. 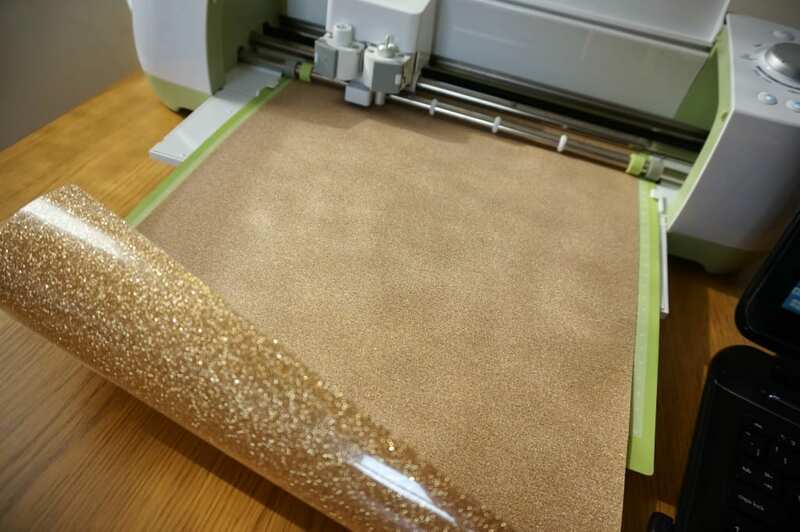 If you want to find out more about the Cricut Explore, do check out the UK website here. You can buy your own Explore from £249 to give you the ability to create all kinds of home decor and crafting projects. It makes a lovely gift too! I am a commissioned Cricut blogger. They look amazing. The weeding bit, can be quite therapeutic really. I have tried this, but definitely not got the knack for the iron on yet…must try again! Thanks! Yes, I know what you mean about the weeding, I found myself developing quite a technique towards the end of it. Worth persevering with the iron on I think. Thanks so much Antonia. I think the most exciting thing is the endless possibilities – I’m in cushion heaven!